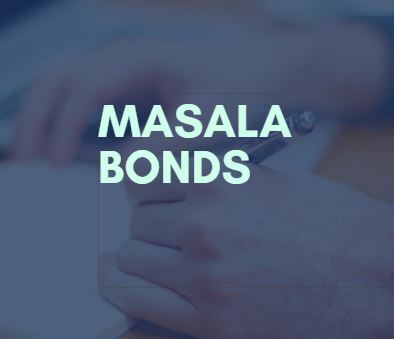 Masala bonds are sold overseas but are Denominated in INR instead of local Currency .To Fund Infra Projects and Internationalize Indian Currency These Masala Bonds are Used , which will Improve Internal Borrowings Internationally . The first Such Bond Issued in India in 2016.Indian Companies are Keen to Raise Funds From Such Bonds .Investing in Masala bonds The Foreign Investor will bear the Risk , instead of Indian Entity or Corporate .This Move will Support Indian Rupee. The Minimum Maturity of Masala Bonds are for Five Years . HDFC ,NTPC and India Bulls Housing Finance are the Top Performers Which raised funds via this option.